BCAS Nature Walk This Coming Sunday at DeKorte Park! 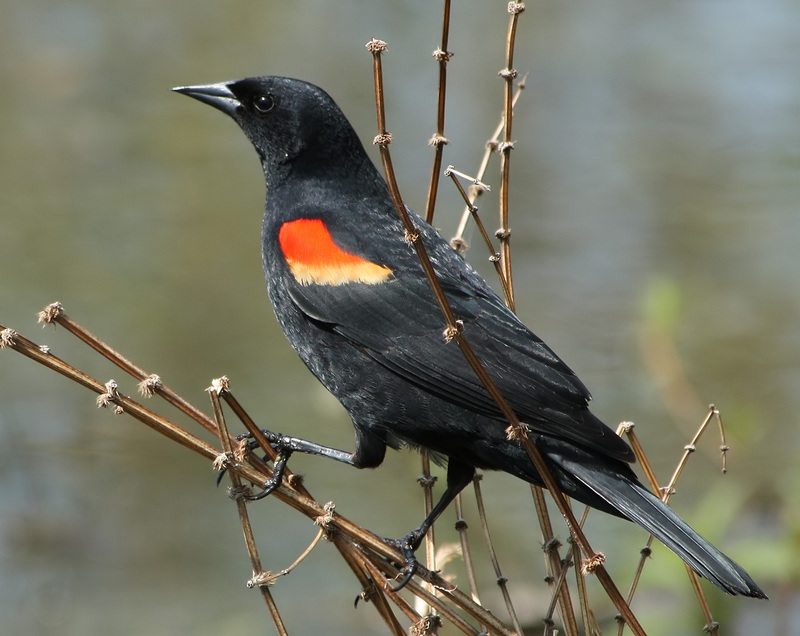 The Bergen County Audubon Society will lead a nature walk at DeKorte Park this coming Sunday, March 6, from 10 am to noon. 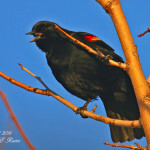 During the free walk they’ll be looking for raptors, waterfowl and other birds of interest. The walk is suitable for all ages and levels of expertise. For more information, email greatauk4@gmail.com or call 201-230-4983. 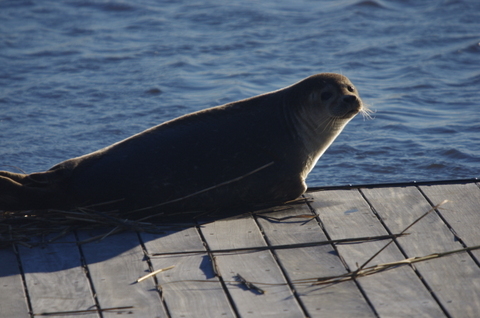 The NJSEA’s Angelo Urato sent these adorable photos of a Harbor Seal sunning it up on the dock at River Barge Park this morning. Nice way to start the weekend! 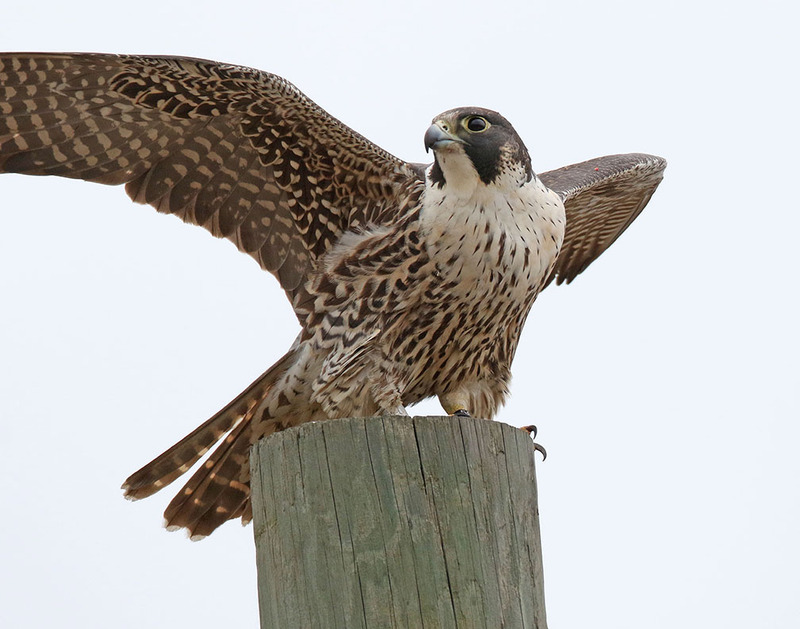 Ron Shields got reacquainted with a feathered friend yesterday on Disposal Road. 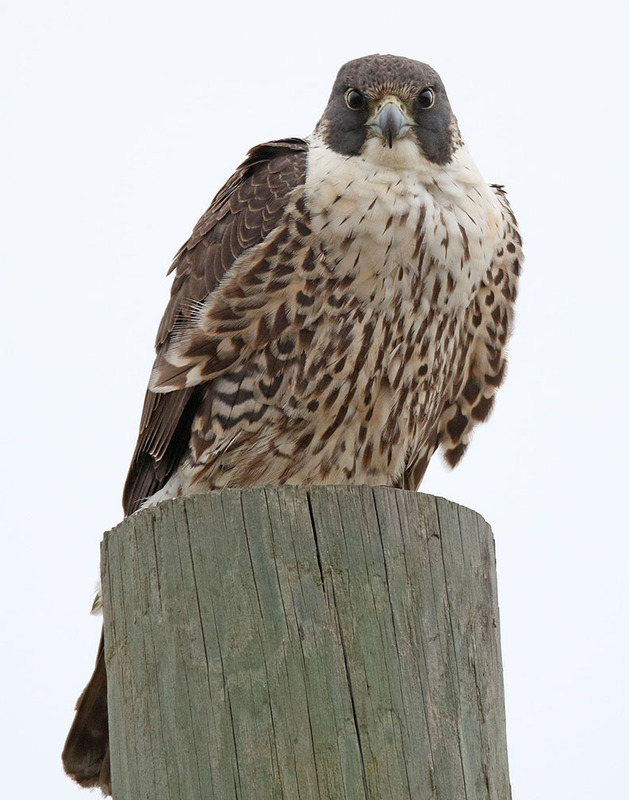 Ron writes us: I found a juvenile peregrine falcon found perched along Disposal Road this morning. 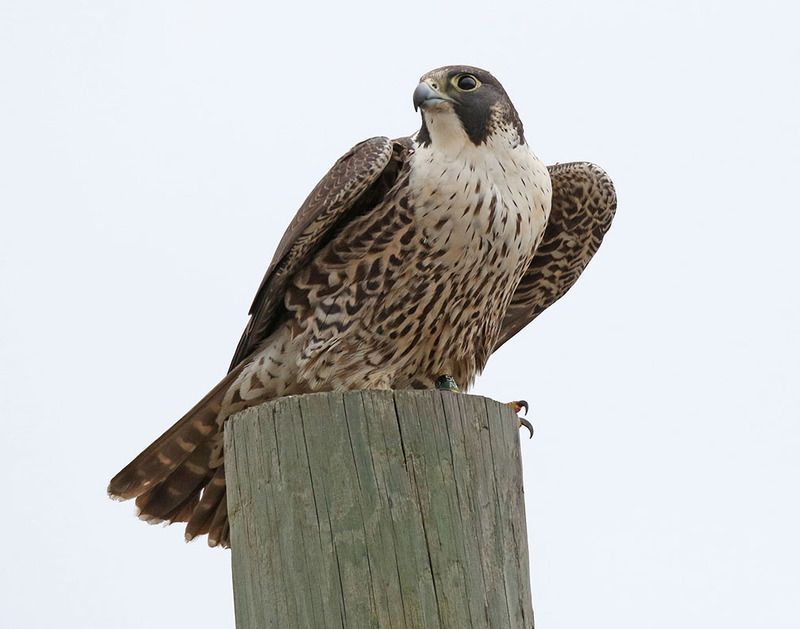 Upon further examination of its bands, this falcon is 56 AK, an old friend who I photographed on August 30, 2015 in the Saw Mill Creek Wildlife Management Area and again on January 3, 2016 on Valley Brook Road. 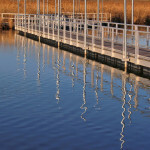 Great pics Ron! This Thursday! 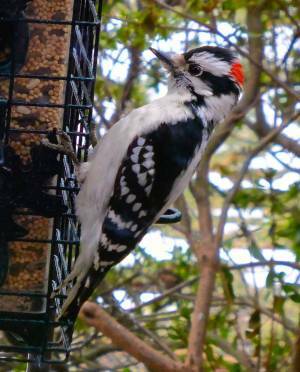 Learn how to create your own backyard BCAS Certified Wildlife Garden! 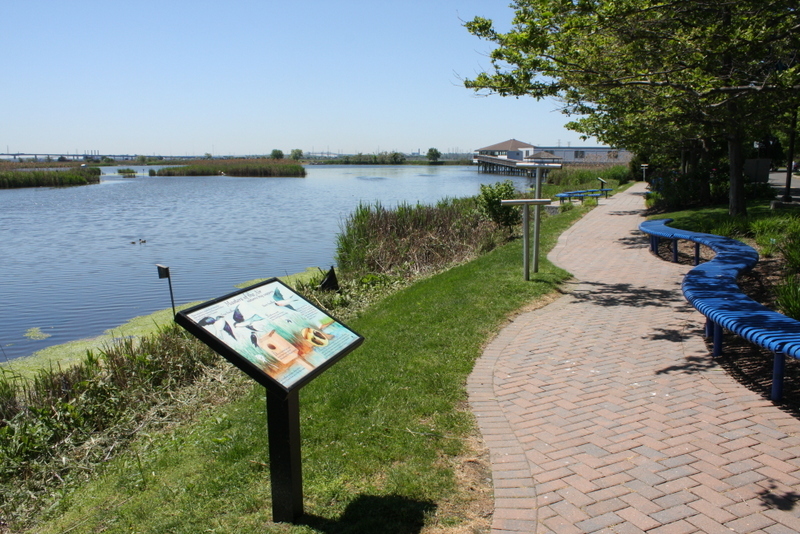 Join Bergen County Audubon Society President Don Torino this Thursday, Feb. 25, at 2 p.m. in the Meadowlands Environment Center and learn how you can create your own backyard, BCAS Certified Wildlife Garden. 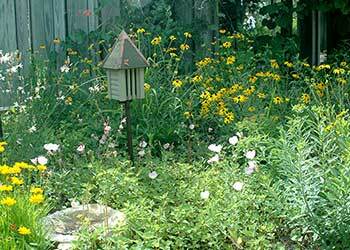 Backyard wildlife gardens provide a beneficial habitat for birds, butterflies and other wildlife. 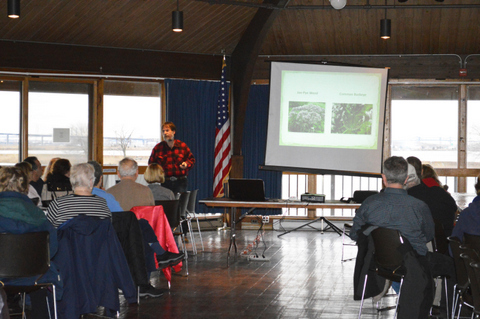 Don will talk about aspects of backyard wildlife gardens including the use of native plants, providing food and water sources, cover, and places to raise young . 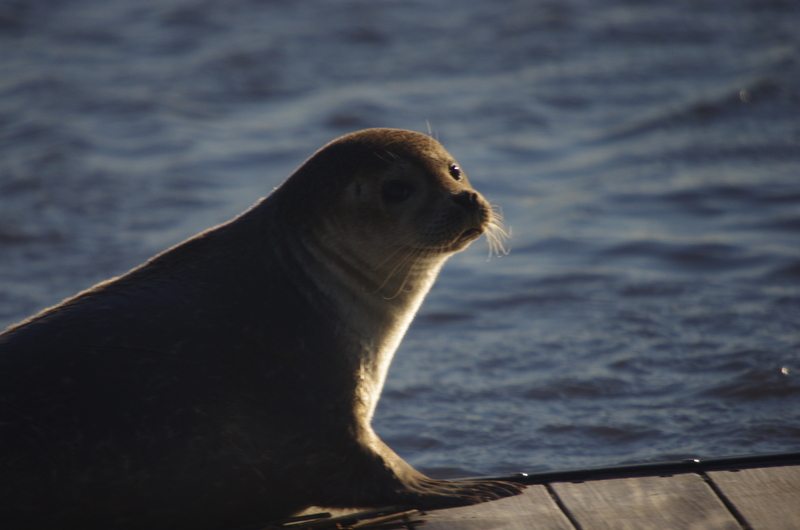 The BCAS started the Certified Wildlife Garden Program this year to raise awareness of the importance of ensuring that backyards, schoolyards, business grounds and other areas benefit wildlife. For more information on the program, click here. You can also contact Don Torino at greatauk4@gmail.com or 201-230-4983. The event is free. Registration is recommended at eventbrite.njsea.com. Former staffer Jim Wright has just created “Duke Farms’ Bald Eagles,” a free, online e-book that should appeal to anyone with an interest in our nesting Bald Eagles in Ridgefield Park and in our nation’s symbol. 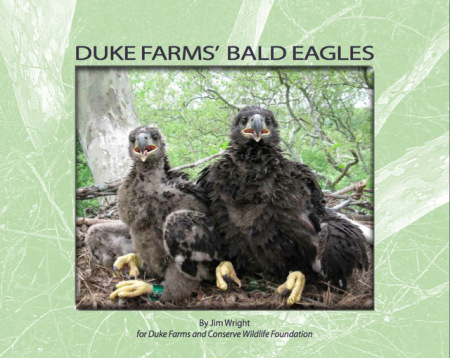 The e-book, sponsored by Duke Farms and the Conserve Wildlife Foundation, tells you all about Duke Farms’ well-known eagles, their nest and a new, state-of-the-art Eagle Cam that allowing viewers to watch the nest. Dismal day out there today. 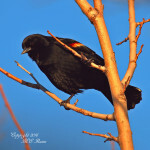 If you weren’t lucky enough to get out into the parks during yesterday’s beautiful weather, enjoy these photos from Mickey and Elaine Raine of a chirpy Red-winged Blackbird at Mill Creek Marsh and the Marsh Discovery Trail at DeKorte Park. NJ Meadowalnds. A landscape scene in Richard W. DeKorte Park in Lyndhurst NJ after a light snowfall. 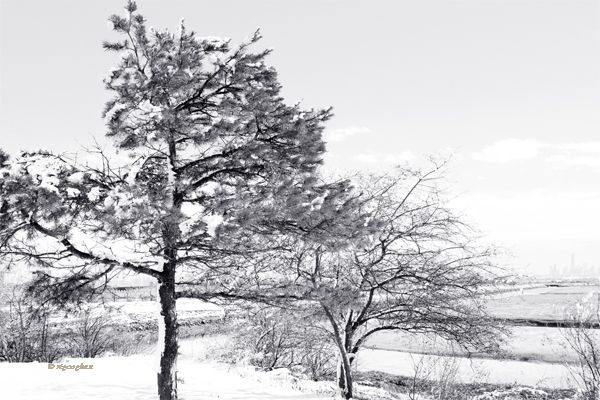 Blog contributor Regina Geoghan recently penned a beautifully-written column on the joys of viewing trees in winter for Wild New Jersey, accompanied by her wonderful photography. Read Regina’s full column here here.